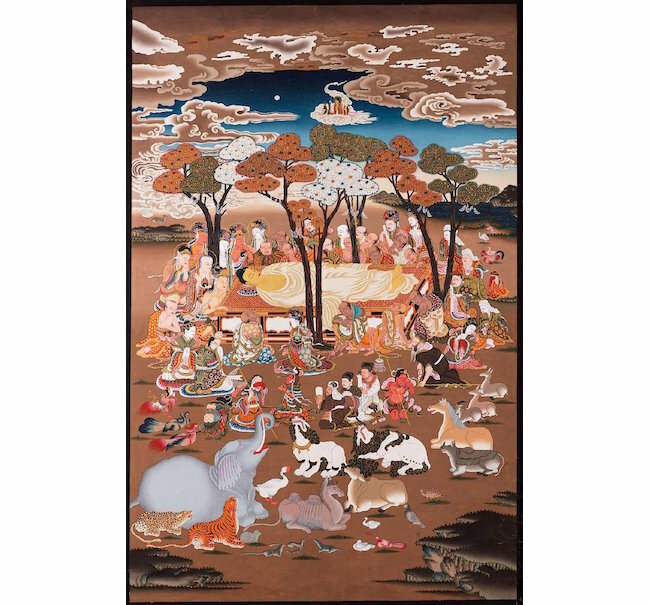 Showcasing the rich history and cultural variety of Asia, this week’s curated Asian Decorative Art and Antiques collection features highly collectible Thangka paintings, Japanese weapon accessories, exquisite Chinese ceramics, and so much more. Below are six standout items you’re bound to enjoy. 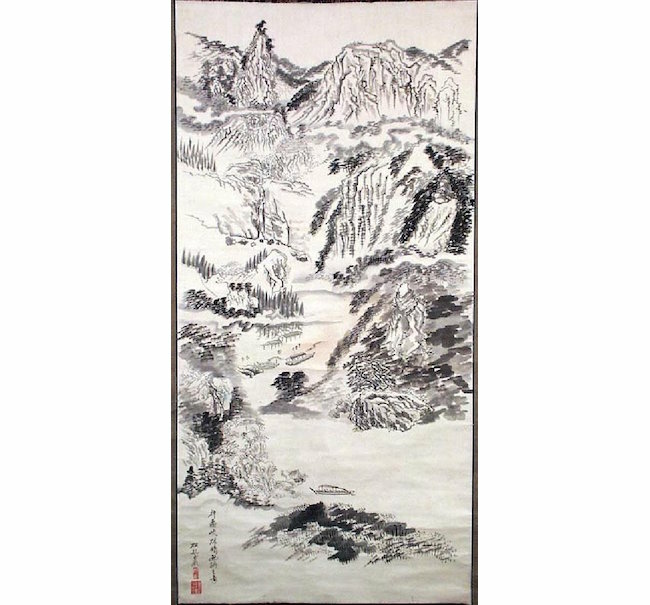 Turning to the Land of the Rising Sun, this late Meiji scroll painting, ink on paper, features a classic mountainous landscape. 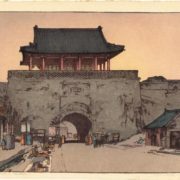 It is an excellent painting for a tea ceremony. 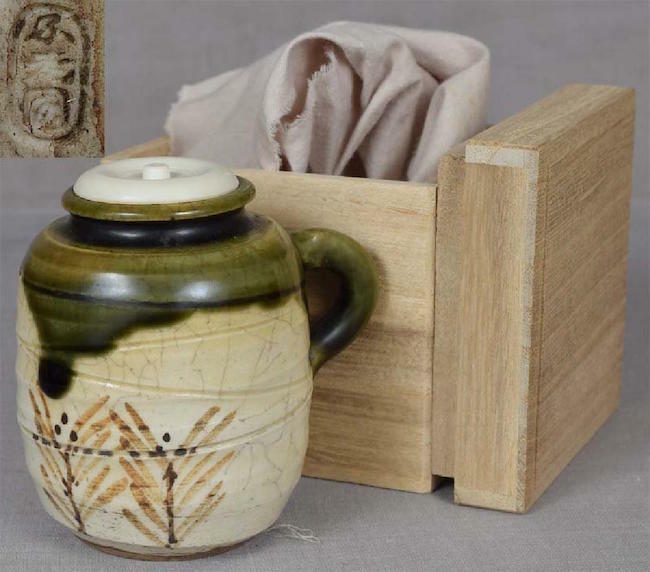 This Japanese pottery Oribe ware chaire, a jar for storing powdered green tea used in the tea ceremony, has a characteristic rich green crackled glaze and an underglaze brown painting of pine and saplings. 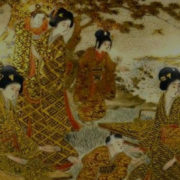 Oribe ware, named after Furuta Oribe, a famous 16th-century tea master, was produced in the Mino and Seto kilns during the late Meiji period. It is particularly Japanese in taste and was not made for export. 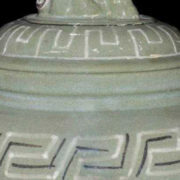 The stoneware body has concentric lines, stamped with the seal of the potter by the bottom. 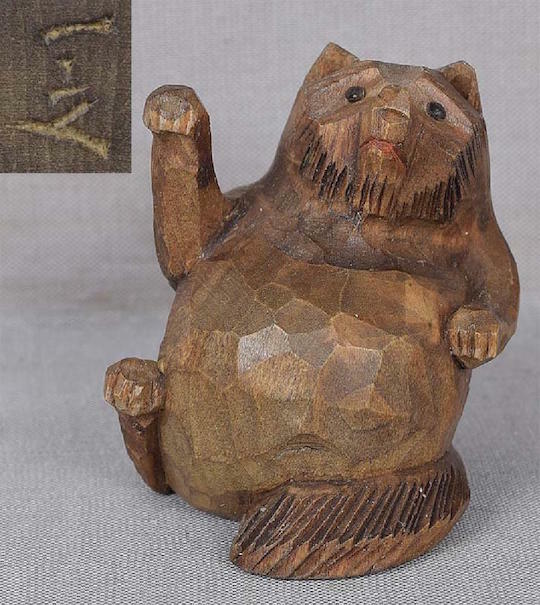 From the late Meiji period is this charming netsuke in the form of a seated tanuki, a Japanese raccoon dog. 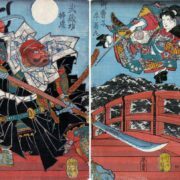 In Japanese folklore the tanuki is a notorious trickster, who drums with his paws on his belly, imitating the sounding of gongs in temples and inns, and leading tired travelers astray in the darkness. 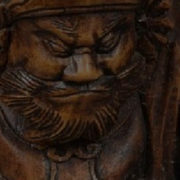 This netsuke is skillfully carved in ittobori (one cut) style characteristic of the Hida school, with clever use of wood texture to add to the charm of the piece. 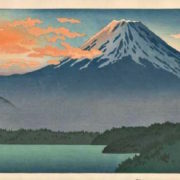 It is signed “Kazuyuki,” an artist listed in Netsuke & Inro Artists and How to Read Their Signatures by George Lazarnick. 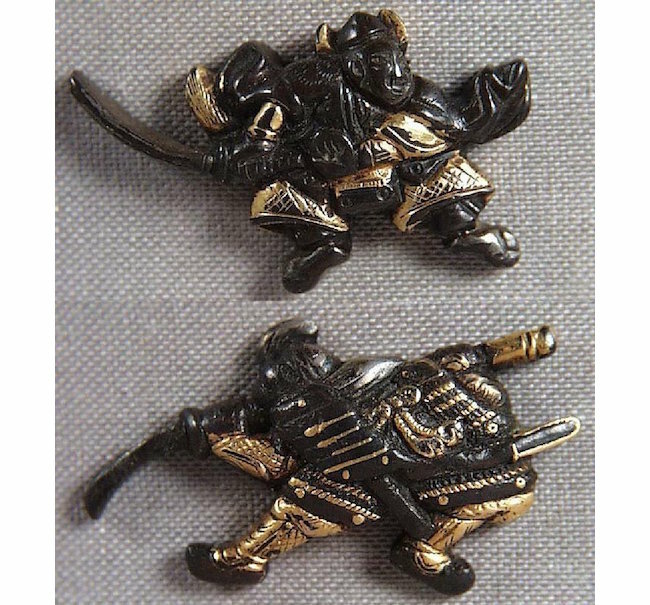 Menuki are ornaments that fit into the palm for grip on a Japanese sword. 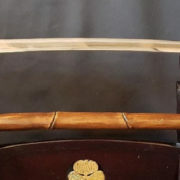 Several pairs of menuki are included in this auction. This particular pair depicts armed samurai in bronze with silver inlays and gilding. 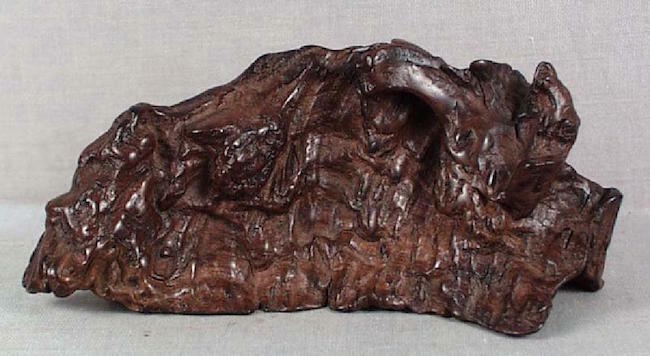 From 19th-century China is this scholar’s brush-rest / scholar’s rock made of rootwood, which looks like a craggy mountain range. Fashioned from the natural root of a tree, the piece exhibits old cracks, nicks, and scratches, adding to its wild energy. There are more treasures to be found. 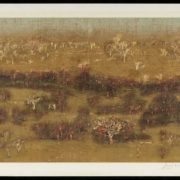 View the full catalog in this auction of Asian Arts and Antiques.